The lionfish is not native to U.S. waters and its venomous spines can negatively impact native species. 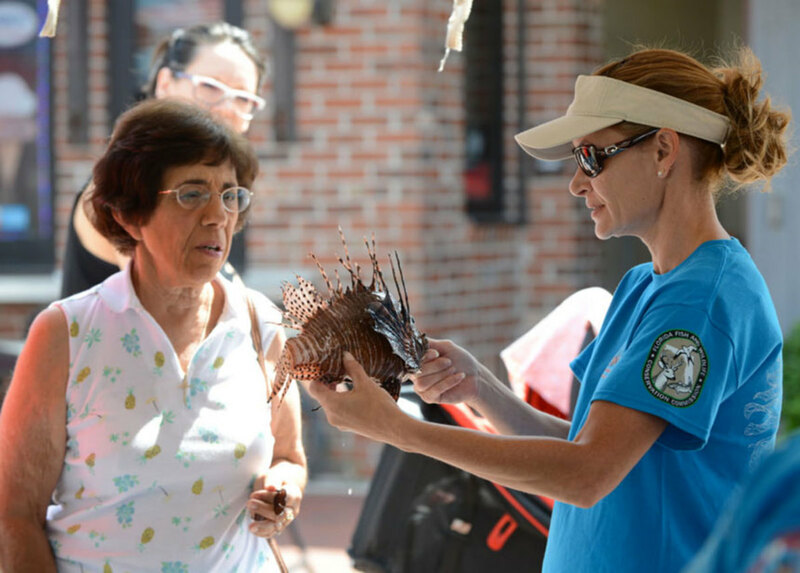 Anglers and divers in Florida can sign up for the 2018 Lionfish Challenge and enter to win up to $5,000 while helping to rid the state’s waters of non-native lionfish. The competition starts Saturday May 19 and the Florida Fish and Wildlife Conservation Commission urges people to register at www.myfwc.com/lionfish. Once registered, participants have through Labor Day to enter catches via photo or by submitting tails to checkpoints at select dive shops and FWC offices. Participants who harvest FWC-tagged lionfish will receive a Lionfish Control Team long-sleeve fishing shirt. The first tagged lionfish that is removed from each of the 50 reefs will be eligible for monetary or prize-based awards. Native to the Indo-Pacific and believed to have entered Florida waters after an aquarium release, lionfish are now established along the southeast coast of the U.S., Caribbean and across the Gulf of Mexico. Because of its venomous spines, lionfish have few predators and can negatively impact fish and reef habitats. The BoatUS Foundation for Boating Safety and Clean Water donated $5,000 to the effort and support is also coming from the American Sportfishing Association, Yamaha Marine, the National Marine Manufacturers Association, Coastal Conservation Association of Florida, the Marine Industries Association of Palm Beach County, Dive Rite, Narked Scuba and Lionator Pole Spears.